If you are my sister Page please do NOT click on this link. Should you not be my sister Page, go ahead and click! 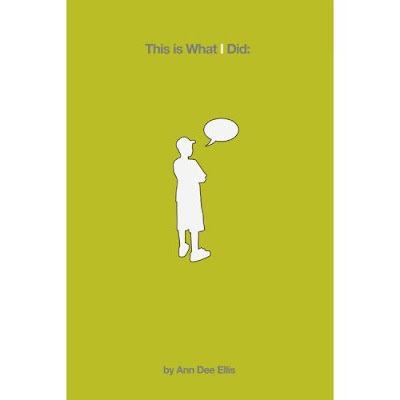 Because I know famous artists, I must brag about my childhood friend Ann Dee Knight Ellis who just published a YA book called "This Is What I Did" Check out this link with glowing reviews. She shares publishers with that little, relatively unknown "Twilight" series from Stephenie Meyer. READ THIS BOOK! And should you be in the Utah County area on Saturday night, Ann Dee will be doing a reading at the Soel Boutique in the Riverwoods in Provo, 6:00pm and rumor has it that there will be treats involved.